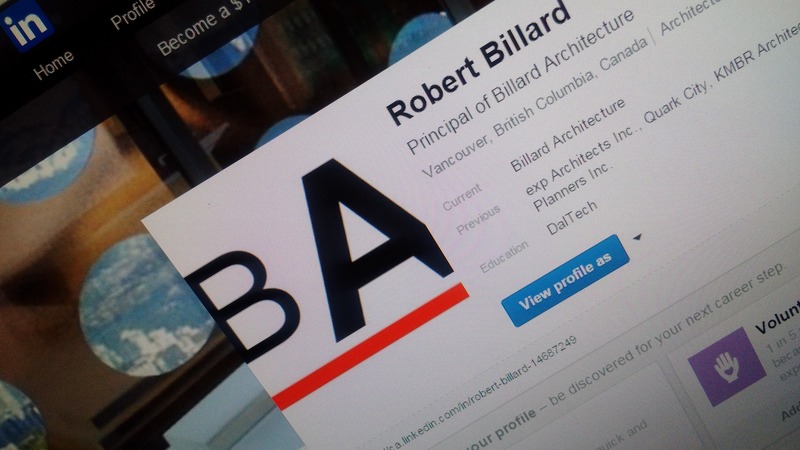 Running the LinkedIn Gauntlet | Billard Architecture Inc. I don’t remember when I joined LinkedIn but it was at the time when I was actively searching for employment. Someone must have told me it was a good job search tool and only a fool does not take all possible avenues when looking for a good job. After so many years of working in the Architectural business I found it rather easy to “collect” connections. However those connections were not going to facilitate finding work. They were past clients, past employers, engineers, government officials, suppliers and the like. The only leads it produced ended up to be recruitment agencies and those are good connections to have when you are looking for work. In the end, though, LinkedIn proved to be more of a time waster than providing a job. It is kind of like Facebook for salespeople and it was tiring to scroll through endless notifications that so-and-so has a new connection. It was boring and at times demoralizing. And even after having given up and not posting anything for years I was constantly being inundated with emails from LinkedIn stating that so-an-so had “Endorsed” a skill of mine. Most of the time from people I had never met. I was riddled with offers of services by rendering and drafting companies in India and China and connection requests from recent graduates in far off countries looking to come work for me for free. It made no sense to me. After a few years of being schooled on social media strategies and learning to invest time and energy into marketing and networking, I jumped back into LinkedIn. I treat it pretty much like I treat Twitter, which has been a great networking tool. I post images of our projects and interesting articles dealing with work. Now it appears that the more I show our work and skills, the more I get pummeled with resumes, offers of services and ads asking me to “boost” my profile. I guess a lot of those people must think I a rude because I do not indiscriminately accept connection requests. I have a long list of them. I will not be accepting an invitation from a rendering or drafting service overseas. I will not be accepting a request from a crown moulding or carpet supplier. (Have they even looked at our growing portfolio on our website?) I am not on there to simply collect connections. I have only about 40 some odd friends on Facebook for the same reason. And recently it appears this strategy works. A passive connection I made through someone else contacted me asking if I would be able to assist their client in a commercial renovation project. The project went smoothly and they were issued their building permit this week. The strategic and calculated use of LinkedIn ended up producing four happy people. Not once did I have to “endorse” someone I don’t know for a skill that has never been demonstrated to me. Not once did I need to cold call/message someone offering a great deal. I just had to cultivate the relationships and develop the network. While I am still not immensely comfortable with LinkedIn as it too often feels like running the gauntlet of mall kiosk salesmen offering me things I am not looking for, it is a tool that should not be discounted. I am sorry, LinkedIn, for having forsaken thee.